Starting from February, couriers of the logistics company Itella Smartpost delivering parcels to clients can leave domestic and international parcels alike at Cleveron's home parcel stations and apartment house parcel stations, where they will be collected by the client, reported LETA/BNS. As a result of the collaboration between the two companies, a large number of people will be able to collect their parcel at a station situated close to their home or workplace instead of having to wait for the courier, the companies said. "In the sorting of parcels nothing is done differently. When the courier delivering a parcel to a person sees a Cleveron parcel station next to the building or inside it, they will try and put the parcel into it using a phone app. If that can be done, the parcel will remain there. If not, the courier will act as they would have earlier," Itella Estonia CEO Meelike Paalberg said. Cleveron home parcel stations at present number about 80 across Estonia, and the locations include some in Viljandi, Tartu and Saare counties aside from Tallinn and Harju County. Apartment house and company parcel stations number about ten each in Estonia at this point. In the second half of the year, Itella Smartpost intends to add CollectNet parcel robots to its network. Itella Estonia OU, a company of the Finnish Posti group, has been represented in Estonia since 2006 and it operates a parcel machine network here since December 2016. 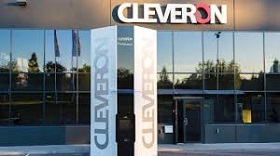 Cleveron is a technology company based on Estonian capital, which develops parcel delivery technology meant for retail and logistics companies.